The hearts and rights of Bentonville families are our top priority. Those facing complicated legal battles can seek refuge with our knowledgeable and compassionate counsel. When the well-being of your children is at stake, or your marriage is coming to an end, Woodard Law Group can help you through. You are not alone; contact our Bentonville family law lawyers now. In our meticulously organized law group, families know they are stepping into an environment that can be their sanctuary. 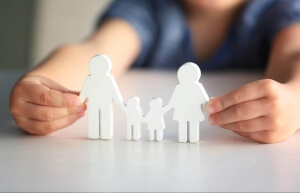 Regardless of the family law matter you face, knowing that our primary goal lies in protecting the families of Bentonville can give you the courage to pursue even the most difficult of family law matters. Our Bentonville family law lawyers make it easy for you to file paperwork through paperless forms, placing a heavy emphasis on being technologically plugged in. Through this, you can find peace of mind in how accessible our attorneys can be: your case file is always at your fingertips, and you can always address concerns that come up as you review the details of your case. Our fees are affordable, and we proactively work to keep costs down for the benefit of our clients. Ask us for help. Your family's goals become ours as we work through your case. You can trust that our Bentonville family law lawyers advocate diligently for your goals in all family law concerns. We are only a phone call away. Contact our Bentonville family law lawyers today at (479) 319-6200 for guidance regarding your family law matter.